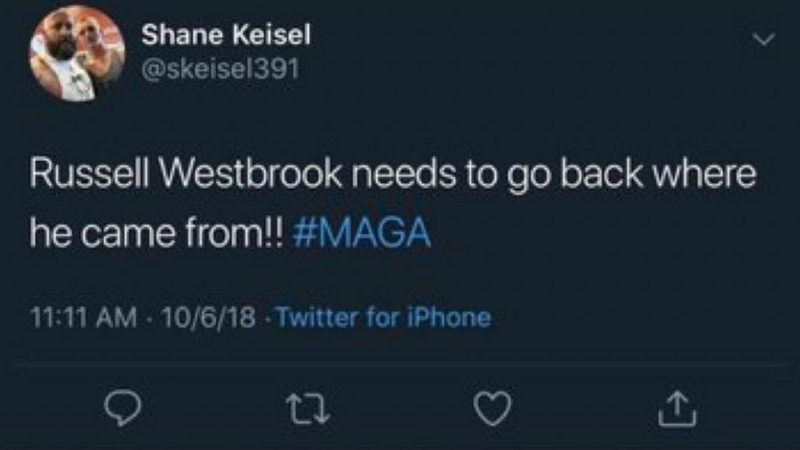 The Utah Jazz have announced that the fan who heckled Russell Westbrook, 45-year old Shane Keisel, has been permanently banned from all events at Vivent Smart Home Arena in Salt Lake City. After Monday night's game, Keisel told ESPN that he never cursed at Westbrook and that the Thunder star simply "went nuts." However, the Jazz conducted an investigation through video review and eyewitness accounts that proved otherwise. The Jazz statement reads in part, "The organization conducted an investigation through video review and eyewitness accounts. The ban is based on excessive and derogatory verbal abuse directed at a player during the game that violated the NBA Code of Conduct." "Offensive and abusive behavior does not reflect the values of the Miller family, our organization and the community. We all have a responsibility to respect the game of basketball and, more importantly, each other as human beings. This has always been a hallmark of our incredible fan base and should forever be our standard moving forward." 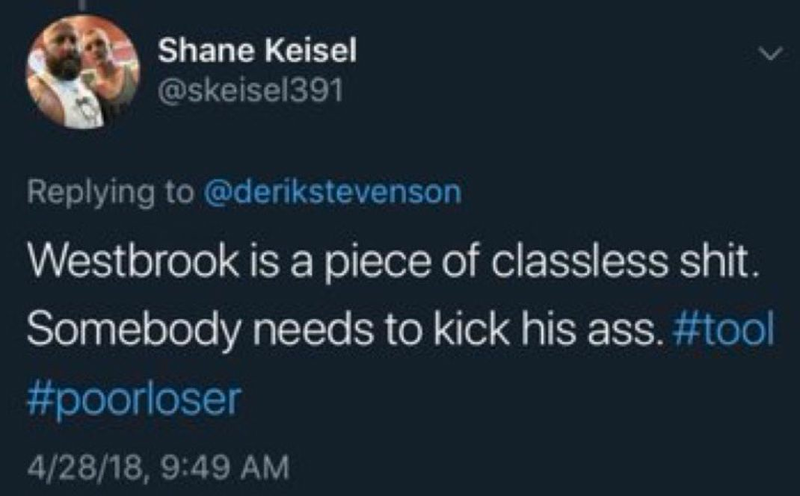 Keisel deleted his twitter account after last night's altercation, but the screenshots were secured well before he had an opportunity to do so. Check out some of his now-deleted tweets below.